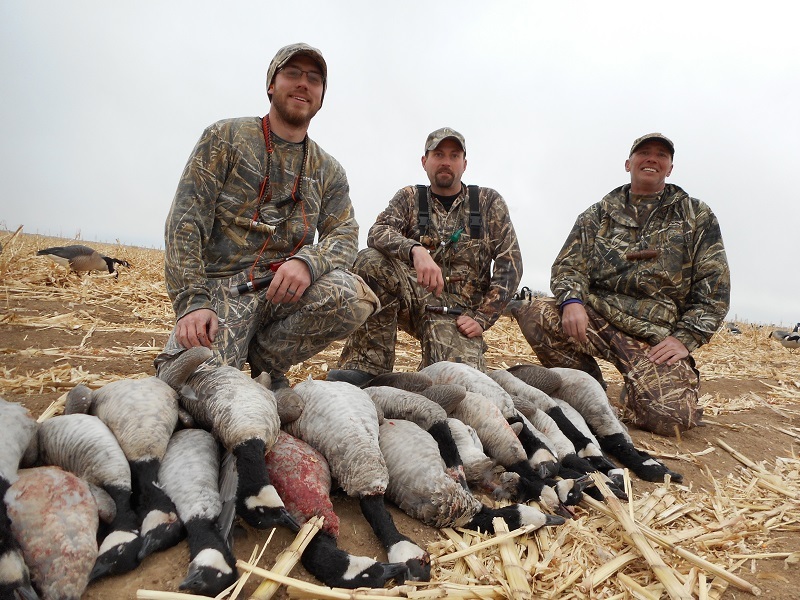 Looking for the best fully Guided Colorado goose hunting experience possible? 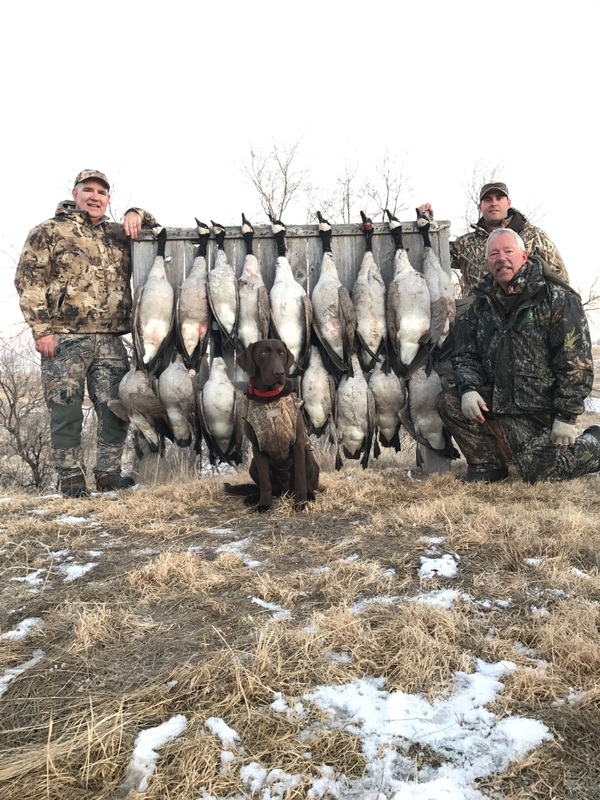 The main focus of our Colorado Goose Hunting Guides is to help you create lasting memories in a safe and comfortable environment while having every opportunity to harvest a bunch of birds. With the combination of our properties that are second to none in harvest potential and professional goose hunting guides that are committed to ensuring you have the best time getting after those big Colorado geese. The population of Canada geese that winter in Colorado has skyrocketed in recent years. As a result, Colorado’s dark goose limit has been raised to 5, assuring you the opportunity of a lifetime to put a few on the ground. Our properties are all in established flyways and will offer you the greatest Colorado goose hunting experience possible. 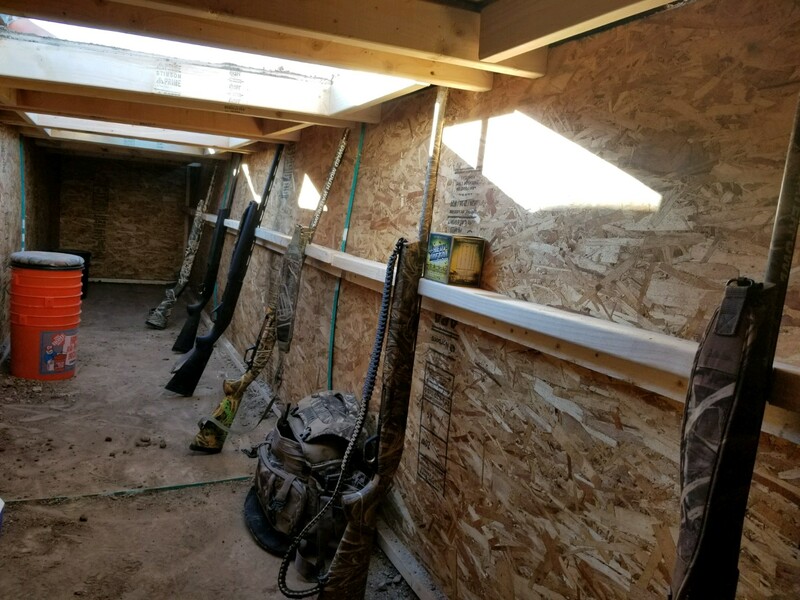 We’ve even added properties further out on the eastern plains for those who may like a crack at some snow geese or even the occasional specklebelly. Just let us know your preference when booking your hunt and we’ll do everything we can to accommodate you. We even discount rates for multiple guns as well as youth hunters making the cost of your hunt a bit more palatable. Adding to the enjoyment of your experience is our close proximity to major Colorado cities and towns. Properties located in Watkins, Dacono and Severence can be within a 15-30 minute drive from Highlands Ranch, Parker, Denver, Ft. Collins and Loveland. When your hunt begins, you won’t be expected to jump into a dirt pit. As you can see by looking at the picture on the left, our pits have wooden liners so you won’t get overly dirty. Guides also bring heaters to help you settle in. We also believe that youth hunters represent the future of Colorado goose hunting, which is why we offer “greenwing” pricing. Youth hunters are $100 with a full paid adult. Our guides are also happy to help youngsters learn the “ins and outs” of Colorado goose hunting by teaching calling techniques, decoy setup strategies and by simply sharing some stories. These hunts last all day or until you limit out on a species (geese or ducks). You’re not limited to shooting one species. This package drops the price per hunt to $175. Once the initial investment is used up, hunts are still purchased at $175 per gun.